Award-winning duo Big & Rich took over Bridgestone Arena last night as they sang the national anthem during the Nashville Predators first playoff game. 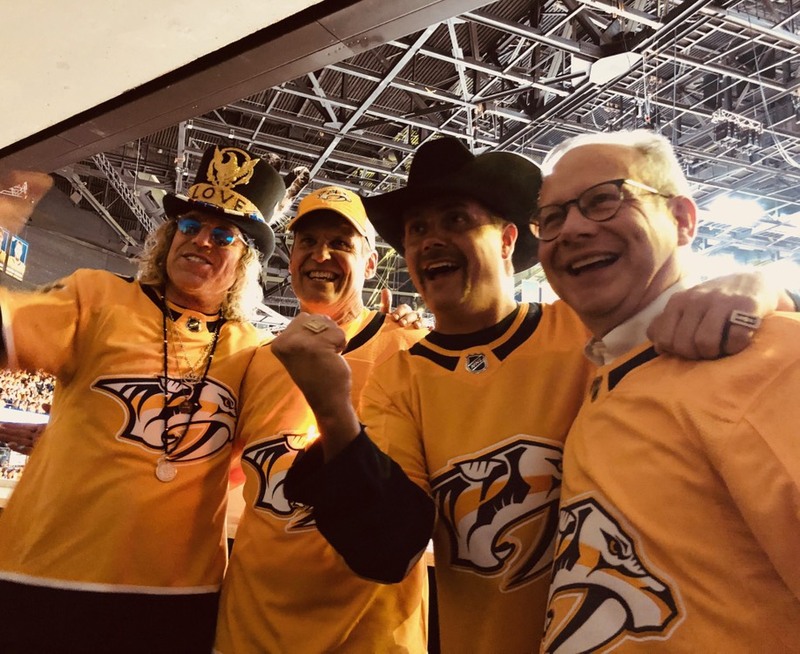 In addition to Bridgestone’s full house were Tennessee Governor, Bill Lee, and Nashville Mayor, David Briley who helped cheer on the Predators against the Dallas Stars. Big & Rich are America’s Technicolor cowboys, brothers-in-arms in service to the creed that great music has no boundaries. Individually, John and Big Kenny are first-rate musicians, songwriters, producers, entertainers…and now the creative force behind their own label imprint, Big & Rich Records. Together, they are one of the most truly original musical forces ever unleashed on a welcoming world. Big & Rich have made a career of being relatable and musically relevant since exploding into the public consciousness in 2003 as the rarest of breeds…true country music game changers. With 2004’s triple-platinum “Horse of a Different Color”, they were able to tap into the best strands of a wide spectrum of popular music, filter them through their pens and voices and produce a sound that is instantly recognizable, if not classifiable. For more information and tour dates, visit www.bigandrich.com.